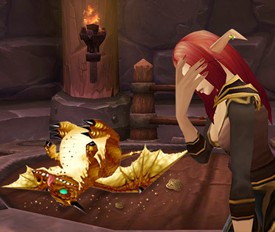 WarcraftPets will be celebrating its 10th anniversary this year, and to help commemorate the occasion we asked the community to help decide the best and worst WarcraftPets April Fool's joke. The results are in! Counting down from least popular to most popular, here's a list of our Top WarcraftPets April Fool's gags, as determined by you! Coming in at number eight is our take on Epic Pet Battle Stats. Prior to Legion, developers were playing around with the idea of epic quality pets. 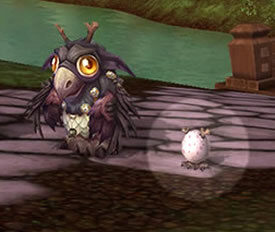 Battlestones to upgrade your pets to epic even made a brief appearance during the Legion Alpha. Although it was eventually decided that epic quality pets would not be included in Legion's release, we took the idea of upgrading your pets and added a twist: new and randomized stats. Ten different stats, all randomly assigned to your pet upon upgrading it to epic. Some qualities beneficial, but most... not so much. Ranked at number seven is Battle Pet Evolution. Pet Battles is commonly referred to the "Pokémon of WoW", as it has many similar elements to the Japanese franchise. There are a few notable differences, however. 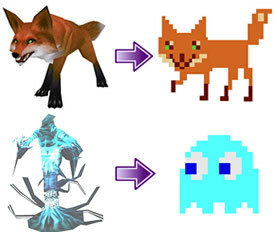 One of the most glaring distinctions is the ability for Pokémon to evolve and change in appearance, a skill that battle pets in WoW lack. But what if our companions could change and evolve? Trick Out your Vanity Pets comes in at number six. During the Mists of Pandaria Beta, we "discovered" a new fun feature of Pet Battles. Gear, pets and even mounts for your pets! The requirements for these vanity items for your pets were astronomically high for the time period. Being a brand new activity in MoP, achieving thousands of Pet Battle wins seemed like a lofty goal. Interestingly enough, portions of this April Fool's made it into the game some way or another. Dress up your Perky Pug with a "Dapper Gentleman" Costume, and the Feline Familiar will mount up on a broom to follow players on their adventures. And who knows? As impractical as it is, maybe the idea of pets for your battle pets will also find its way into the game one day. 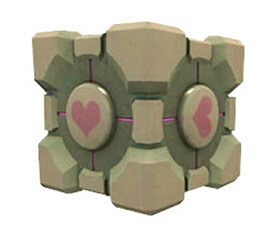 This was a triumph... for the Weighted Companion Cube, at least, voted as a respectable number five. Paying homage to the game Portal, we created a special pet profile page and an FAQ page with its own silliness just for the Weighted Companion Cube. Did we fool you with this one? Companion Loyalty is ranked number four. Borrowing from an old-school Hunter pet mechanic, we created the same loyalty concept but for companion pets. Feed, hug, pet and play with your pets to help them earn loyalty. 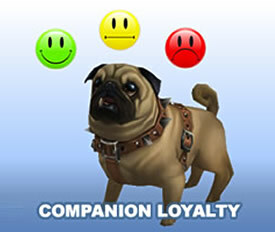 Companions could lose loyalty in addition to gaining, so managing a large collection required lots of time and attention. Players had to maintain a certain amount of friendship with their pets or else the unthinkable would happen — your pets would run away! Everyone Poops... 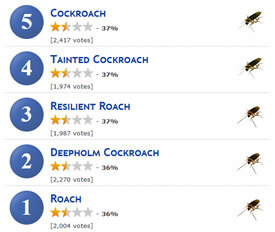 Even Pets was voted number three in our retrospective. Realism doesn't exactly play a large part in WoW. It is, afterall, a game of fiction and fantasy. But that didn't stop us from coming up with a disgustingly cute idea: companion pets that defecate. Seven years later and we have our first true pooping pet — Trashy. Thankfully, we don't have to clean up after him. His droppings aren't exactly small! Many collectors have long dreamed of the ability to have more than one pet summoned at a time. But with the possible technical and graphical constraints on the game, it's an unlikely feature. So for this April Fool's, we came up with a solution to lighten the load on servers — "Variable Model Rendering" or VMR. Graphical settings as determined by the server, based on its changing load. The more players that have multiple pets out, the more VMR is utilized. This did have some interesting side effects on the looks of certain pets though. 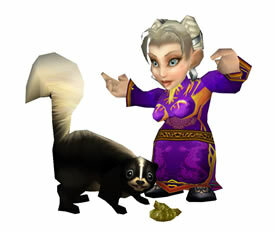 Coming in at number one, your most favorite WarcraftPets April Fool's joke to date, the crème de la crème, it's.... WarcraftPets' Bottom 10 Pets! It's no wonder why the majority of our community would choose this as their favorite. This was the first April Fool's joke to ever appear on WarcraftPets, way back in 2008. It looks like many haven't forgotten about how innovative and witty it was. And who doesn't love cockroaches? Well, this list is full of them! A normal Top 10 list is so overdone and boring. But a Bottom 10 list? HA! It's so refreshing and inspiring... and FUNNY! I mean, come on... who could possibly think any of those other jokes are better? So much charm and hilarity, this brilliant gag still makes us laugh out loud 9 years later, and it definitely remains number one in our collective hearts... right? Battle Pet Breeding took first place by a landslide. 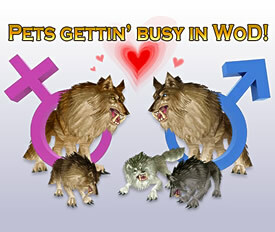 Early on in Pet Battles, there was talk of the possibility of allowing players to breed their battle pets. It was even discovered that there are genders assigned to every pet. We had to wonder, though, what kind of crazy combinations would collectors come up with. Thanks to Drrum's expertly crafted images that combined two pets into wild and humorous mutations, this April Fool's was one of our most creative. Pet breeding never made it into the game in any shape or form, however there was a small nod to this particular joke in the form of the pet ability Carpnado. We hope you enjoyed this small walk down memory lane. Looking back at our past gags, we can only hope to continue outdoing ourselves in future April Fool's. We'd like to thank everyone who voted for their favorite WarcraftPets April Fool's joke. Your participation helped make this fun retrospection happen! A big thank you to all of our members for your continued contribution and support. We are honored to have such a wonderful community. As we celebrate 10 years of WarcraftPets, we look forward to many more years of pet collecting, Pet Battles, and fun-filled April Fool's! nice list, i wonder, the one that got voted number one, i think they didnt add it because, it would make messed up pets probably lol, but they could do what Wizard 101, does for pet breeding, by having the pet take on the appearence of one of the parents, while sharing an evenly mixed set of moves from each parent and each stat could come randomly from either one or the other parent, though the flavor text coud be that of the parent they look like.